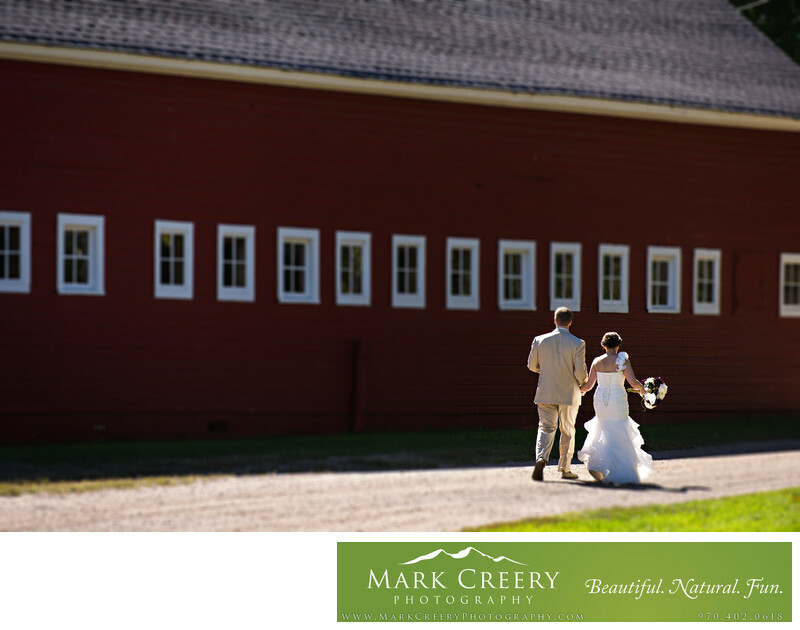 In this photo the bride and groom were walking towards their wedding reception in a barn at Wyoming Hereford Ranch. Wyoming Hereford Ranch is located in Cheyenne, Wyoming. Contact: (307) 634-1905. Location: 1101 Hereford Ranch Rd, Cheyenne, WY 82007.